Heidschnucke are a fairly small sheep, initially originating from Niedersachsen in Germany. 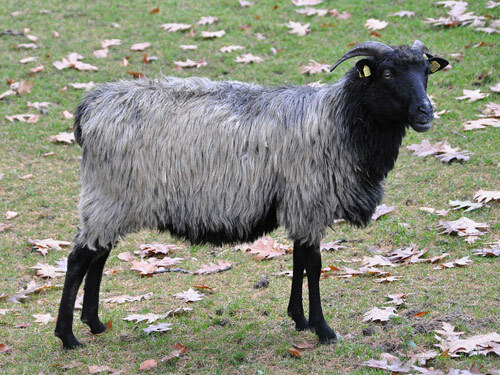 There are several varieties of Heidschnucke sheep: the grey horned Heidschnucke, the white horned Heidschnucke, and the moorschnucke (marsh sheep). At one time, the Heidschnucke were the most important sheep in northern Germany, but their numbers have declined substantially. Lambs are black at birth, but their fleece discolors their first year of life, until it gets its characteristic grey color. Both rams and ewes have beautiful horns. Lambing percentage is usually low, only about 100 percent.